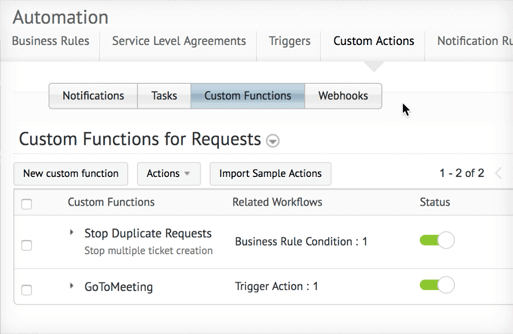 Program ServiceDesk Plus to work your way using custom actions. Now, anything is possible in your ITSM. 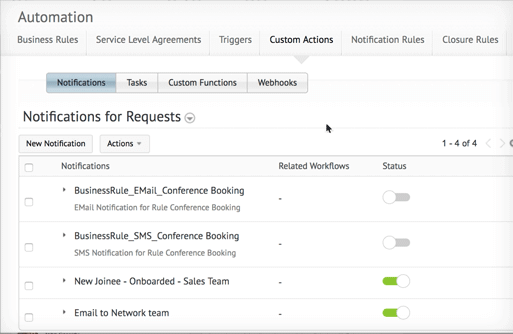 The latest update to the cloud version of ServiceDesk Plus allows IT service desk teams to create and deploy custom actions throughout the life cycle of ITSM tickets. Now you can enjoy unrestricted process customization and automation down to the last detail. 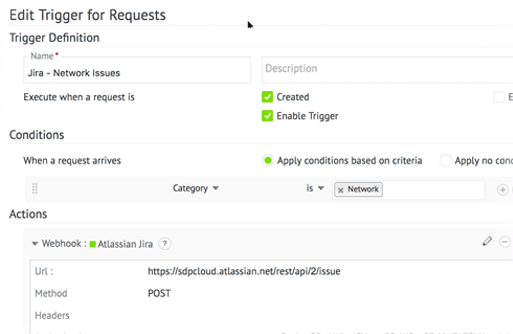 Configure and automatically execute a variety of custom actions. Create, configure, and edit all your tasks, notifications, Webhooks, and custom functions from one place. Invoke custom actions throughout the life cycle of a ticket. Create business rules and triggers to invoke custom actions on tickets based on ticket parameters when a ticket is created, edited, or deleted. Create custom functions by converting complex business logics into simple automations in ServiceDesk Plus. 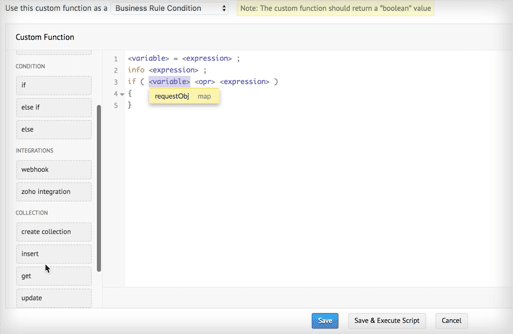 Create custom functions using a drag-and-drop script builder. Program and deploy custom functions with Deluge, the popular online scripting language developed by Zoho. Learn more about Deluge here. 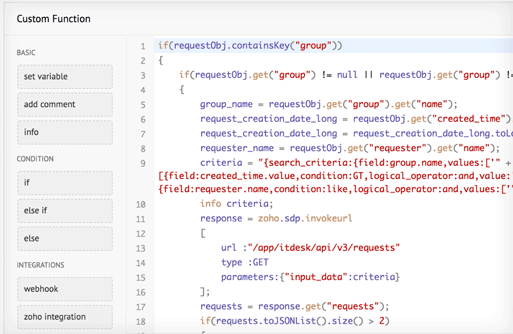 Learn more about the new custom actions in the cloud version of ServiceDesk Plus with ready-to-implement examples, and use cases.